A powerful Mobile Phone converter. 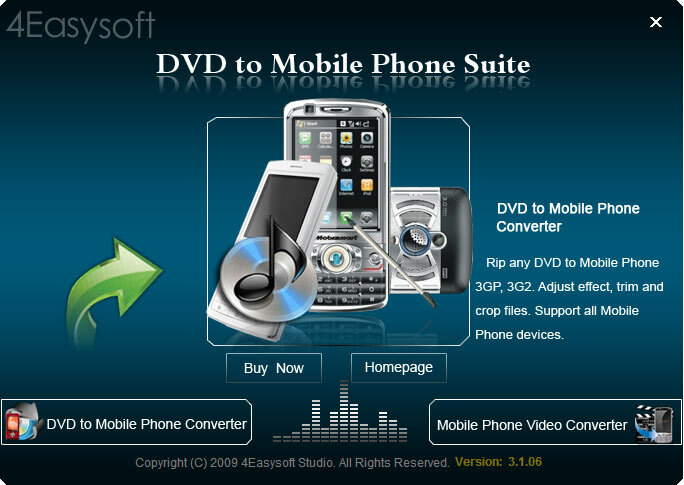 4easysoft dvd to mobile phone suite is bundled of two programs: dvd to mobile phone converter and mobile phone converter. So it is a powerful mobile phone converter to convert dvd to mobile phone and convert video to mobile phone for users. This dvd to mobile phone suite can support numerous mobile phones including iphone, google phone, blackberry, nokia, sony ericsson, lg, motorola, samsung and son on. With this super mobile phone converter, you can convert dvd and video with various powerful functions, such as, trimming video length, cropping video size, adding watermark to your video, merging files, adjusting video contrast, brightness, saturation and powerful video/audio encoding settings. And if you convert a dvd movie, it also lets you select dvd subtitle and audio track. Key functions: 1. Convert dvd to mobile phone video and audio dvd to mobile converter in this suite converts dvd to avi, mp4, 3gp, 3gpp video for all mobile phone series, like iphone, google phone, blackberry, sony ericsson, nokia, samsung, lg, motorola, etc. The converted mov, m4v, wmv and h.264/mpeg-4 avc formats are available for ipod, apple tv, psp, walkman, zune, archos, zen. It also allows you to extract audio from dvd and convert to mp3, m4a, wav, ama audio formats. Adjust video effect you can adjust video brightness, contrast, saturation and volume at will. For your interlaced dvd, check deinterlacing to avoid mosaic. Checking 'apply to all', all these video effect settings can apply to all your selected contents. Cut any clip of video using 'trim' function, you can get any part of video from dvd or video file by setting the exact play time or just dragging the bar when you view it. Crop video size in order to get the perfect video visual effect for your player, you can adjust the video play region and zoom mode of your video. Choose audio track and subtitle you are given access to choose audio track and subtitle for your output video files. 4Easysoft DVD to Mobile Phone Suite is an audio utility that works under windows xp, windows vista and windows 7. It supports both 32-bit & 64-bit windows editions, therefore it could run faster on 64-bit computers. Estimated download time for 4Easysoft DVD to Mobile Phone Suite on a common adsl connection is less than a minute. 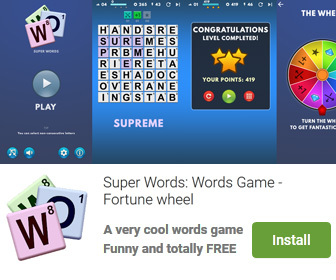 Version 3.2.10 was released two thousand seven hundred fifteen days ago by 4Easysoft Studio. Click the green download button to download it now.